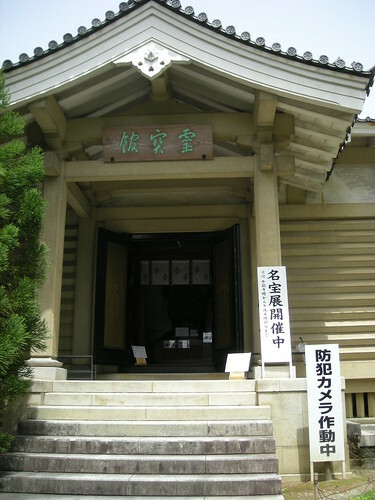 Reiho-kan, the temple museum, opened April 1st for the spring session. It will be open until May 27th. Although it is all written in Japanese, you can see a document listing the items on display here! While some of the most famous pieces are on display every time, other items are changed every session! 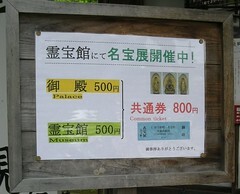 Tickets for Reiho-kan cost ¥500. Reiho-kan is open from October 1st to November 23rd for the fall session. The Amida Triad on loan to the National Museum in Tokyo has been safely returned and is on display again, too! 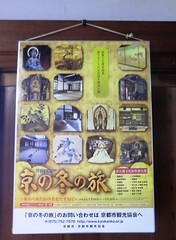 You can buy a combined ticket for both Goten and Reiho-kan at a discount or just see the temple treasures with a ¥500 ticket for Reiho-kan only. If you had the chance to visit in spring you’ll find that while some items are the same, there are many different pieces on display for this session as well! 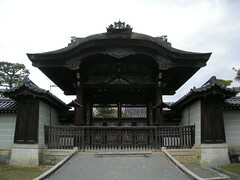 Reiho-kan, the building that houses many of the temple’s treasures including statues, scrolls, and scriptures is open to the public twice a year. The spring session lasts from April 1st to the fourth Sunday of May, this year closing on May 22nd. Many items are on display every time (such as the Heian Period Amida Triad, a National Treasure) but other items are rotated every session, so there is always something new to see! 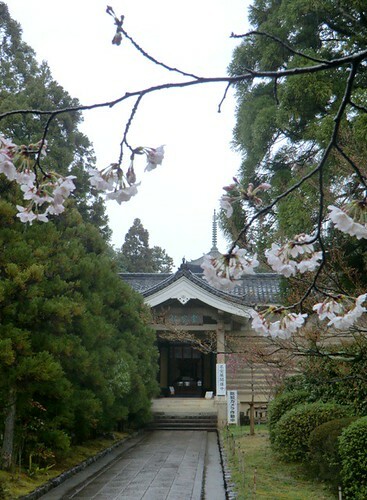 For the remainder of the time Reiho-kan is open, it is possible to buy a combined ticket that allows entry to the palace area (Goten) and Reiho-kan for a discount. If you cannot make it this month, the next opportunity will be the fall session, from October 1st to November 23rd. I hope that you can make it!